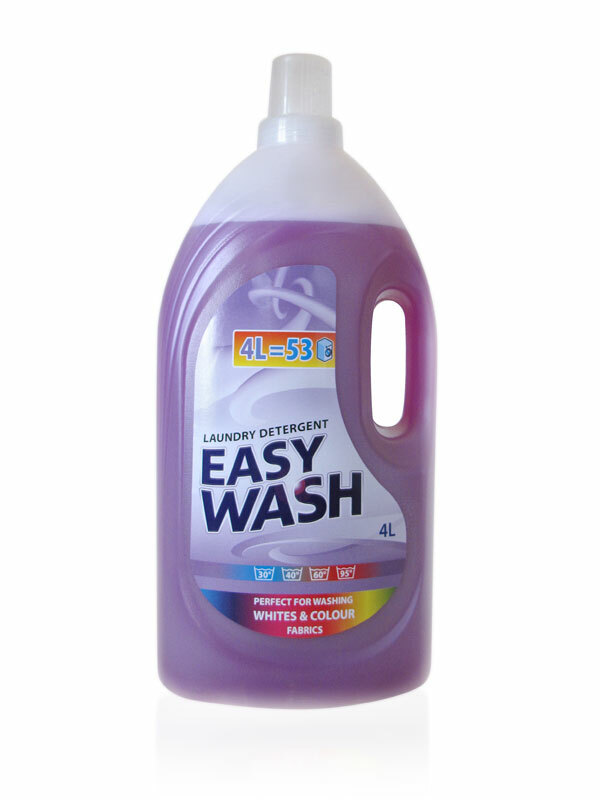 The Easy Wash laundry detergent label design is colour coordinated with the liquid itself and the shape of the label matches the contours of the plastic bottle. Call-outs on the pack label draw attention to white and colours, temperature ranges and the number of washes per bottle. Any non-essential information is avoided on the front label. 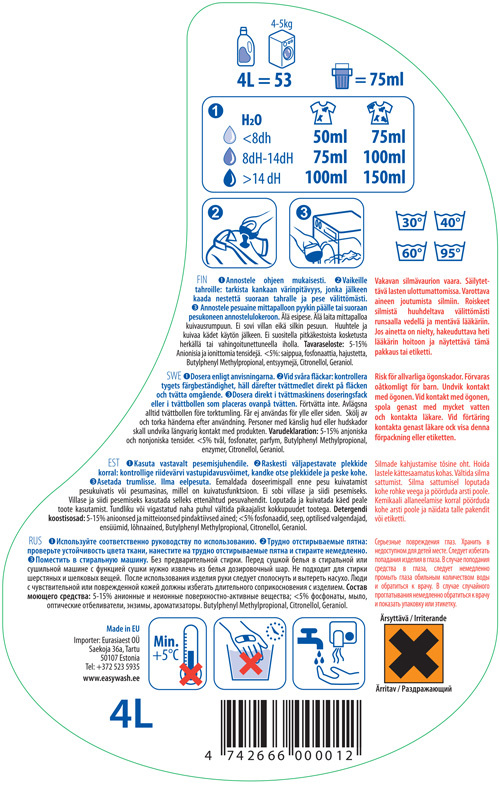 Technical information and instructions are in a clear, legible layout on the reverse side label in 4 languages.